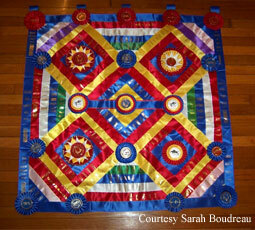 What do you do with your ribbons and awards? We know that it takes a lot of time, effort and preparation to get ready for competition. So when the event is done and you’ve received a ribbon or award, how to you show it off? I know I’ve seen quite a few rosettes hanging on stall doors, displayed on barn banners at horse shows and strung up on the walls of kids’ rooms. But what else can you do with your hard-earned prizes? Our next Customer Service Rep making his introduction on our blog is Sean, who has been working for Hodges Badge for just over a year. A native Rhode Islander, Sean calls himself a “dog person” but admits he quickly got up to speed learning about horses and horse people. In fact, he had only been on the job a few months when a customer in Virginia hunt country said she had to call him right back because a fox was trying to kill her chickens. Not exactly a normal occurence in New England! 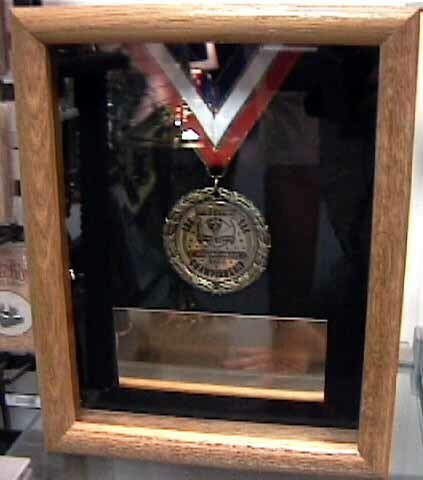 When I asked Sean if he could recall any particularly memorable customer, he told me about a man ordering custom medals that needed to go into production that same day. After trying unsuccessfully to contact the customer via multiple email addresses, Sean said it took “probably 12 phone calls” to tie up loose ends and get the medals into manufacturing. But after receiving a personal thank-you, he realized just how much that extra attention meant. Outside of work, Sean is a self-proclaimed “sports fanatic” and follows all the New England sports teams. He also regularly heads to the gym, and enjoys going to local Rhode Island beaches. So next time you call about an order and speak with Sean, ask how the Red Sox (or Celtics, depending on the time of year) are doing– I’m sure he’ll get a kick out of it! We seem to be getting a good number of hits on our blog with people searching for drug ribbons for Red Ribbon Week and other drug-free programs. I thought I’d help those searchers out and explain a little bit about the many options available through our company. 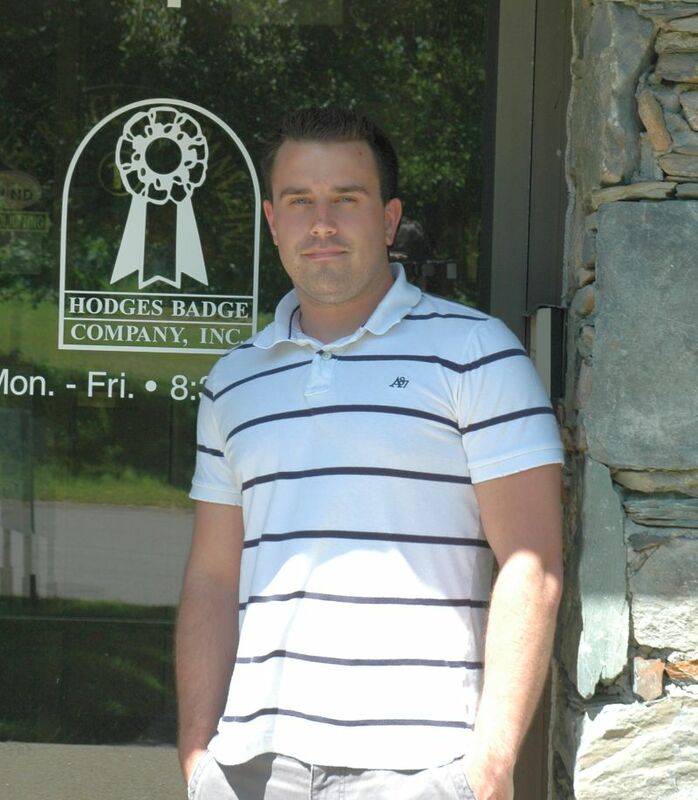 For those searching for a new anti-drug slogan, Hodges Badge offers 40 stock designs, each with their own slogan. Check out our full poster of available designs/slogans by clicking here. You can order stock ribbons in bags of 200 for $13.50 (that’s just 6.5 cents per ribbon), or add your school or community group name for a custom product. We also manufacture red ribbon wristbands. Some of my favorite ribbons include “We are the future, let’s make it drug free,” “I have better things to do than drugs,” (on left) and “Community + Me = 100% drug free.” Has your group come up with its own phrase that you think would make a great ribbon? Let us know! When Internet-based shopping started becoming a major component of retail purchases, many people predicted the demise of the catalog. While Hodges has been on board the online surge (our new website is still in the works- you’ll see it soon, we promise!) 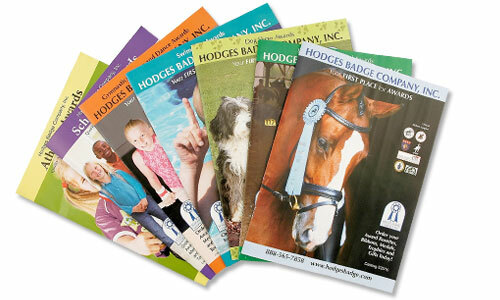 and many of our customers order online, we still create seven new market-specific catalogs each year. So why are our catalogs still in demand? You can take them with you, or keep them on hand for a reference at your fingertips. People still share our catalogs and pass them among friends. 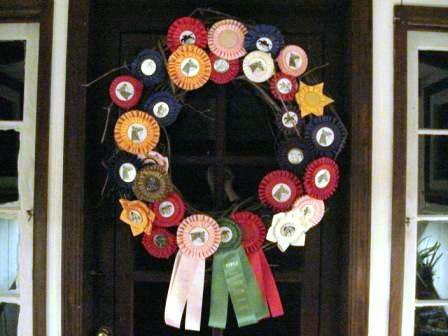 Show committes, organizations and groups may meet to decide their ribbon and award order outside of an office setting. Last I checked, a lot of barns were still waiting for wireless internet access. Many online orders are still placed with a catalog in hand. This may be because it’s easier for customers to peruse a wide variety of products in print than online. Catalogs are getting more environmentally friendly by the day, ours included. According to the American Catalog Mailers Association, more paper is recycled than any other material, and the paper industry is a leader in using renewable energy. Given the points above, we realize catalogs are not for everyone. We update our mailing lists daily to ensure we are not sending duplicates or copies to customers who have requested not to receive them. So what do you think? Do you enjoy getting our catalog or does it end up in the recycle bin? We’re open to your comments! Yesterday we were very fortunate to have a visit from U.S. Senator Sheldon Whitehouse (D-RI). Senator Whitehouse was interested in finding out more about local uses of alternative energy and our company’s planned use of the wind turbine, which is scheduled to be operational by October. Speaking with Senator Whitehouse, Rick Hodges detailed the environmental and financial savings afforded by the wind turbine, including that it will reduce carbon emissions by over 400,000 lbs per year in addition to saving $100,000 in annual electric costs. While in Portsmouth, Senator Whitehouse also toured our factory, speaking with employees, and learning how Hodges manufactures ribbons, rosettes, medals and silver. Justin Williams, who works in our Art Department, explained the silver engraving process to Senator Whitehouse. “He seemed genuinely interested in the engraving, almost mesmerized” he added. 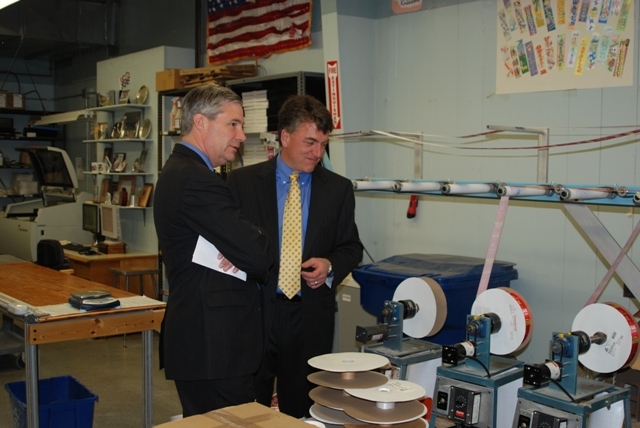 In the photo below, Rick and Senator Whitehouse spoke about the dye sublimation process used for our multicolor ribbons. Photo courtesy of Sen. Whitehouse's office. As a member of the Senate Environment and Public Works Committee, Senator Whitehouse has a history of working to pass legislation for expanded renewable energy opportunities. Part of the financing for the $900,000 wind turbine comes from a federal American Recovery and Reinvestment Act grant through Rhode Island’s Office of Energy Resources. Next up in our Meet the Reps series is Julie. A Missouri native, Julie has been with Hodges Badge for five years and works at our Washington, Missouri location. I actually got to meet her for the first time as our three Missouri reps were visiting the Rhode Island office for training. Unfortunately, it was 40 degrees when she went to visit Newport, but that’s another story. A self-described “talker,” Julie enjoys being on the phone with customers and hearing the excitement in their voice when they find out we can get their order to them in just a few days’ time. 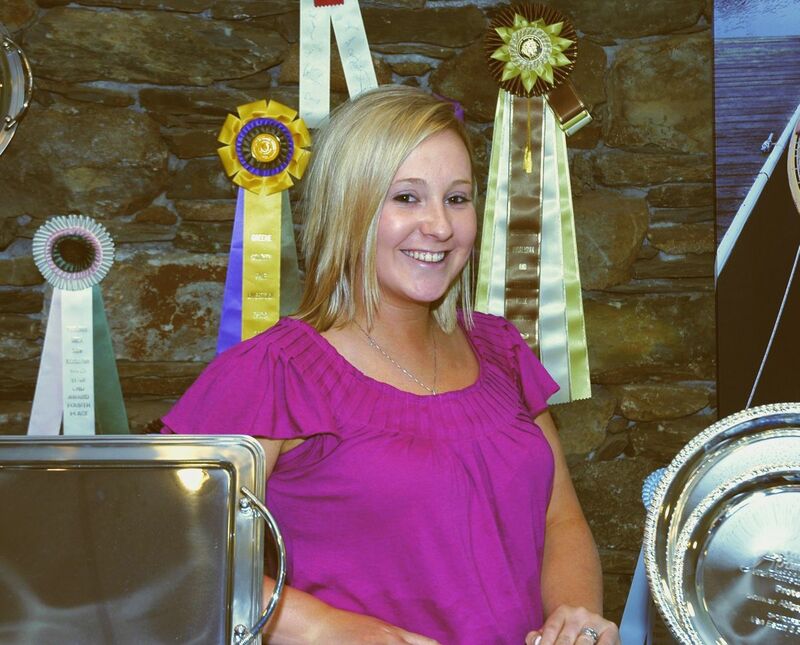 While she is not a “horse girl,” she does happen to know her alpacas, and works as a steward at the Kansas City MOPACA show. When I asked her what she does with her free time, Julie’s first response was admitting to being a “Coach purse addict.” She also told me about her cat, Snickers, and working for her Aunt and Uncle’s barbeque catering business, which has won multiple prizes in Kansas City Barbeque Society competitions . Sounds like fun, Julie. Just be careful to keep the purses out of the bbq sauce! We realize many of our customers are accustomed to ordering ribbons and rosettes for dog shows, horse shows, swim meets, and athletic events, but we felt like we’d clue you in on a few uses for our products that even we were surprised by. Planning a wedding? We’ve seen invitations printed on ribbons. You can even put a photo of the couple at the top using our multicolor ribbons. 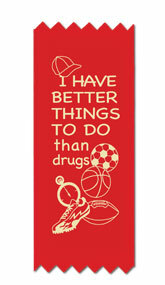 Or how about a ribbon bookmark with a favorite poem or psalm to use during the ceremony? Want more than an ordinary name tag for an association meeting or group gathering? People are more likely to want to pin on a ribbon than wear a “Hello my name is” sticker. Celebrating a birthday, Bar/Bat Mitzvah or Sweet Sixteen? We’d bet most of your guests would be happy to receive a ribbon (& that they’ve probably never gotten one before). We know Mother’s Day has passed, but ribbons are easy to personalize for any holiday. With 14 lines of print, you can come up with your own verse to create a unique gift. Send in your camera-ready art to put your photo on a button center for free! Have another creative for how to use our products? Let us know and we’ll be glad to share.